If you don’t know that Christ Community has a youth group, you’re missing out on knowing one of the greatest groups of people at our church. Not that I’m biased as a leader. Each Wednesday, we usually act as a community group and review the sermons from Sunday gatherings, asking questions and applying the Word deeper into our lives. That’s the goal anyway. But the last few weeks we have been doing something different. We have opened the book of Ephesians and read through one chapter a week. This past Wednesday, it was my job to go through Ephesians 3 with the students. The first half of the chapter is about how the Gentiles have been added to God’s people through Jesus. Paul calls himself the least deserving of all God’s servants to bring this news to the Gentiles, but he is privileged to do so by God’s grace. As much as I like the first half of the chapter, the second half is one of my favorite parts in all of Scripture. Paul kneels down before the Father to pray for the people of Ephesus. He had prayed for people in chapter 1, but he begins to pray again for the power of God to come. He prays that Christ would make His home in their hearts. He wants them to have power to understand. What does he want God’s power for? That they might understand the love of Christ. Not just in one dimension, but in three - the height, depth, breadth and length (3:18). That describes a shape that is three dimensional. It’s literally an all-encompassing love. 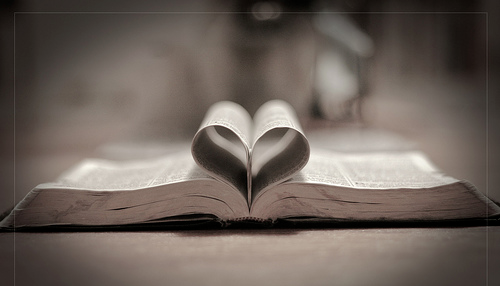 It is a love that surpasses knowledge. And when we have the power to understand that love, we are filled with the fullness of God (3:19). Forgive me if I am wrong, but that sounds a lot like the Holy Spirit filling us and us becoming more aware of His presence in our lives. Jesus possessed the fullness of God (Colossians 1:19, 2:9). He understood God’s love for Him. He acted out in it. And what happened when Jesus acted out of that love? Verse 20 tells us that God is able to do more than we might ever ask or think through the power at work within us. I’m not saying we’re going to raise the dead. I never have and probably never will. I think that’s a miracle reserved for God. But it is a miracle when I am able to act in true humility or love selflessly or give grace when I am hurt. When those things happen, I know the love of Jesus has really changed me. His power has overtaken me as I experience the three dimmensional, all-encompassing nature of His love. Let’s pray together with Paul that we as a church would be able to understand the love of Christ through God’s power. All this to His glory in the church and in Christ Jesus throughout all generations forever and ever. (Ephesians 3:21).